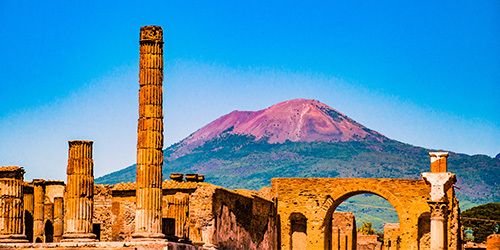 This excursion takes you to visit the widest and the most important archeological site of our days, Pompeii and you will walk, up to 1300 meters height on the biggest active volcano of Europe. 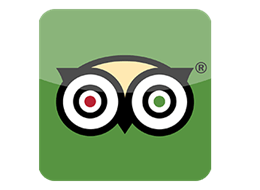 Pick-up at your hotel and departure for Pompeii for visiting the archaeological excavations and where, in two hours, a local guide will reveal you the secrets of this beautiful ancient Roman city destroyed by the eruption of the volcano in 79 B.C. You will discover the beauties of this archaeological site walking through the Abundance Street and passing through imperial forums, temples, thermal baths, villas and the Amphitheatre. After a break of one hour for lunch on your own you will go to the Vesuvius. You will leave the bus at the volcano’s slopes and with a special car 4×4 you will climb into the Vesuvius National Park reaching 900 meters altitude. Then you will continue by foot for 20 minutes to arrive to the top of 1300 meters height, passing through a dug up grave. Once you arrive at the crater your expert Alpine guides will illustrate the monitoring and the history of the Vesuvius and of its numerous and famous eruptions (€ 10 suppl. – not included). The data collected will be used only to respond to the reservation request submitted.